Mezzo-soprano Katherine Rohrer has been impressing audiences internationally with her warm, expressive tone, vocal agility, and dramatic, emotionally gripping performances. Balancing the rigors of traditional and mainstream repertoire with some of today’s most celebrated composers, Katherine Rohrer garnered critical acclaim in recent performances as Nicklausse/Muse in Les Contes d’Hoffmann with Opera Colorado and Florida Grand Opera, Marguerite in La Damnation de Faust with Oper Frankfurt, the Malaysian Philharmonia, and the Saint Louis Symphony, the role of Lady Macbeth in Bloch’s rarely-heard Macbeth with London’s University College Opera, and her first Pilgrim in Saariaho’s L’Amour de Loin with Vlaamse Opera. In her debut in the title role of Carmen with Glyndebourne on tour, the Times Online acclaims, “...she has already deeply assimilated the strength and complexity of this Carmen. And her minutely expressive mezzo-soprano traces every nerve ending of Bizet’s writing.” Previous roles with Glyndebourne opera include Mercedes in Carmen and Nadine in the world premiere of John Lunn’s Tangier Tattoo. Ms. Rohrer has shown a dynamic affinity for early opera since her debut as Oberto in Alcina with San Francisco Opera (2002), a role she later reprised at the Opera Lyon (2005). Her New York debut with Gotham Chamber Opera in the role of Teseo in Arianna in Creta was ecstatically received by the New York press, prompting Ann Midgette of the New York Times to remark, “...the role of Teseo...is one of the hardest in the book, every aria a flood of notes spewing out as if from a fire hydrant. Katherine Rohrer...was deeply impressive, playing it convincingly as an angry teenage boy of about 16, and hurling her agile voice (full but not dark) up and down the scale as she executed various bits of stage business, like brushing her teeth without any break in the cascade of notes.” She returned to New York for her debuts with New York City Opera (2006) in a rarely performed Handel opera Flavio as Vitage and with Glimmerglass Opera (2007) in the role of Messenger, and Proserpine in Monteverdi’s Orfeo. 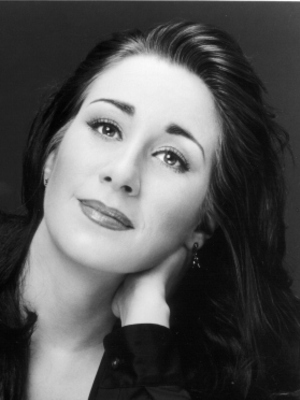 She made her New York City Ballet debut as the mezzo soloist in Brahms’ Liebesliederwalzer at Lincoln Center as well as at the Kennedy Center in Washington, D.C. She has also been featured in two recitals with the 2003 Schwabacher Debut Recital Series, both with collaborative artist Steven Blier. Ms. Rohrer has collaborated with many of the world's leading directors and conductors including Michail Jurowski, Seiji Ozawa, Donald Runnicles, Patrick Summers, Daniel Oren, Steven Lord, David Agler, Dimitri Jurowski, Jakub Hrůša, Marco Armiliato, David McVicar, John Copley, David and Christopher Alden, Stephen Langridge, John Cox, Roy Rallo, Ian Judge and James Robinson. Recipient of Central City Opera’s John Moriarty Apprentice Encouragement Award, her other credits include first place in the Rose Palmer Mobile Opera Competition, finalist in the Eleanor McCollum Competition at Houston Grand Opera, and finalist in the Metropolitan Opera National Council Auditions. Ms. Rohrer was an Adler Fellow at the San Francisco Opera from 2004-2006. She has a BM in music education from Stetson University as well as a MM in performance from New England Conservatory. In autumn 2013 she joined the faculty at The Ohio State University as an assistant professor of voice.